Pixar never fails to amuse us. They’re back with their fifteenth venture, and the most creative one until today. Jump for Anger and Disgust, don’t ignore Fear, there’s Joy and Sadness too, because Inside Out is here! These five emotions are the little building blocks for the consciousness of a young girl, Riley. They take up residence inside her mind – a colourful Mission Control headquarters. They build up a bank of memories, process and store them to shape little Riley’s personality. There’s a master control room with a board that the five major emotions jostle against each other to control. Sometimes Joy is the dominant emotion, sometimes Fear, Sadness takes lead sometimes and so on, but never to the exclusion of any one. The controller hears what the other emotions are saying, and can’t do anything but being affected by it. 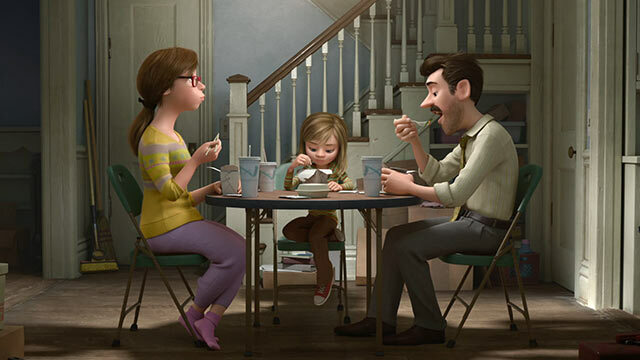 The fact that Pixar could write an adventure story about a crisis in the mind of a little girl is absolutely incredible. 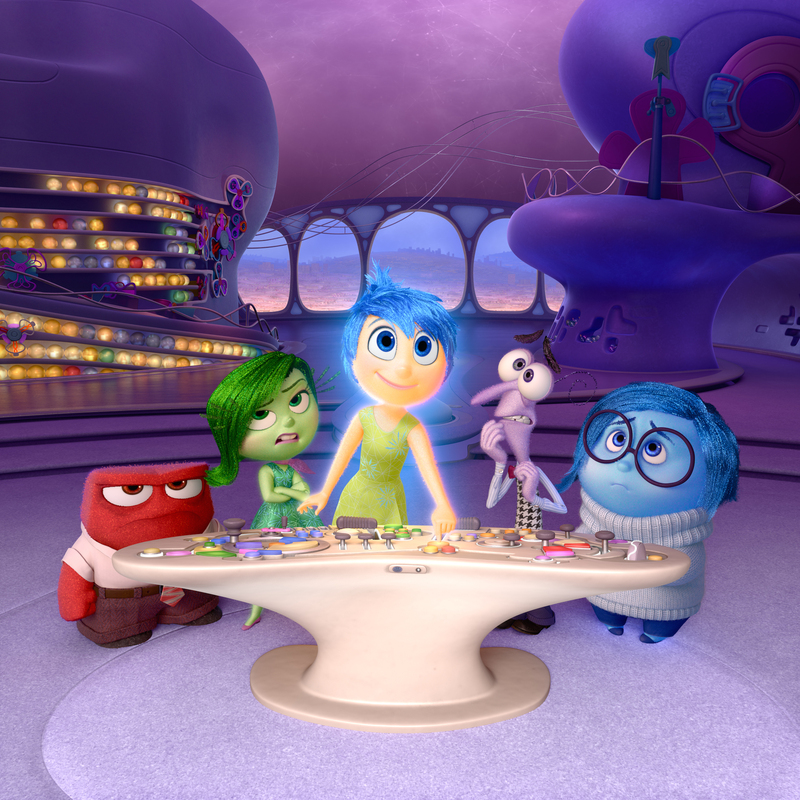 Inside Out expands the possibilities of animation. It’s also a hilarious ride that delights the eye, the mind and the heart. It’s the kind of movie that will always linger in your mind after you’ve seen it, sparking personal associations and proving it that animated movies are indeed, the best! The plot of the film is set inside the brain of Riley, who’s upset with her parents decision to move homes from Minnesota to San Francisco, separating her from her friends. 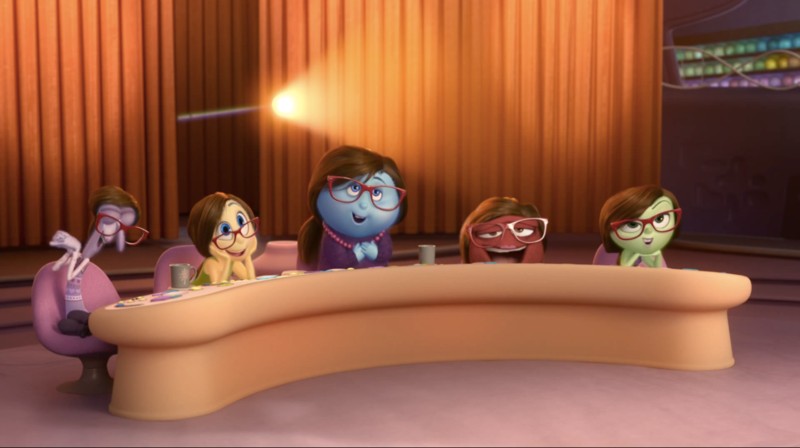 Riley’s emotions are resolved by the five inordinately animated cartoon characters, Joy (voiced by an effervescent Amy Pohler), a lean fairy-like creature who reminds us of Tinkerbell minus the wings; Sadness (voiced by Phyllis Smith), who’s soft and blue; Fear (voiced by Bill Hader), who is gawky, purple and bug-eyed with a prominent question-mark posture; Disgust (voiced by Mindy Kaling) who happens to be very rich, green, and has a bit of the “popular girl” vibe; and Anger (voiced by the amazing Lewis Black), a fireplug with devil like red skin, glaring red eyes a fat tie and a short-sleeved shirt. It’s a beautiful story about handling big feelings. 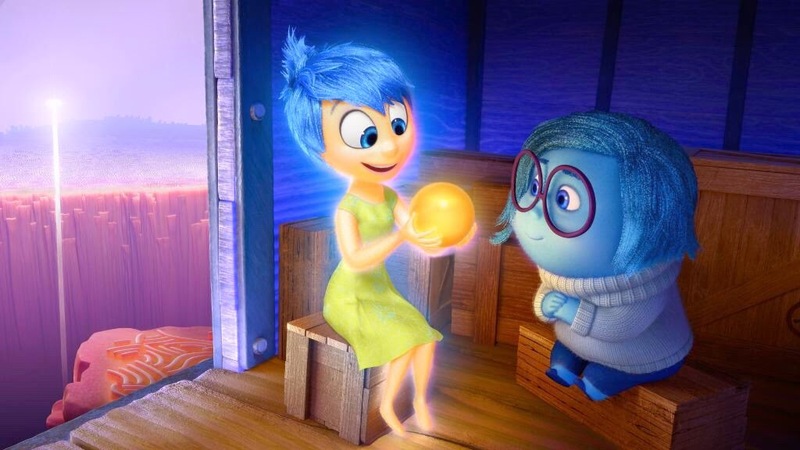 Joy’s odd relationship with Sadness is what made the core of the film. 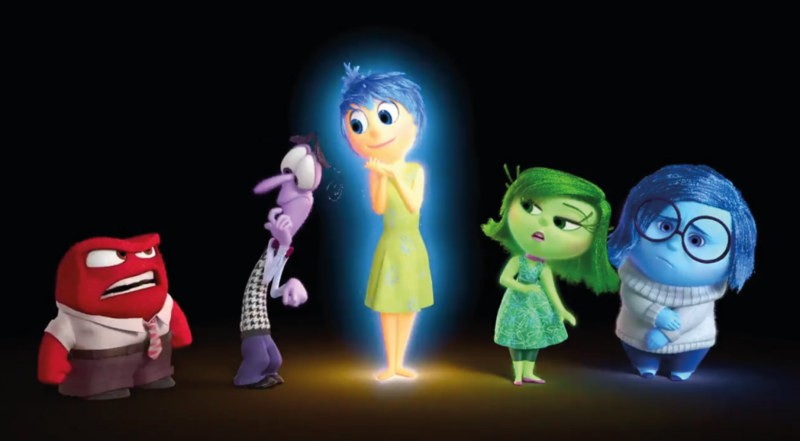 Pixar has made a movie about feelings having feelings! The movie is a crowd pleaser, with it’s vibrant and memorable characters, and animation you’ll remember forever. 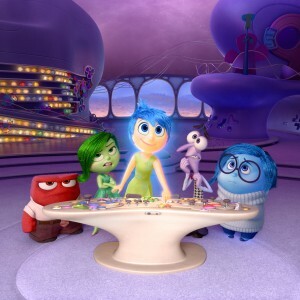 The satire is Pixar’s best since Finding Nemo, the end will hit you right in the feels, and as you leave the cinema laughing, you realise how brilliant Inside Out actually is. Never before has an animated movie been so perfect.